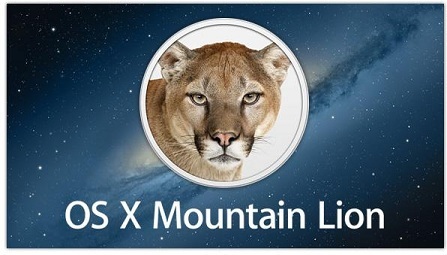 Mac OS X Mountain Lion Install DVD 10.8.4-ISO | Free eBooks Download - EBOOKEE! Posted on 2013-12-07, by naveennisha. A new button allows you to export easily send links, web pages, photos, videos, and publish tweets directly through the application to which you are working. On the Reminders app you can create lists and receive alerts via the new Notification Center. Play on Mac with friends using a Mac or device iOS, in the Game Center. A built-in service iCloud stores your mail, contacts, calendars, reminders, notes, lists, music, photos, files, iWork, PDF documents and more on all your devices. 4. Boot from the DVD and select the partition with the installed system. 6. Install Chameleon (PostInstall of folders on the DVD). Also, if desired, can be used (copied to the root of the system drive Mac OS) Extra in the same folder. Attention: Support and MBR and GPT. To climbed to DVD-5 (4,36 Gb) had to cut content AdditionalSpeechVoices.pkg. This is a useless vote system in English. language. No comments for "Mac OS X Mountain Lion Install DVD 10.8.4-ISO".